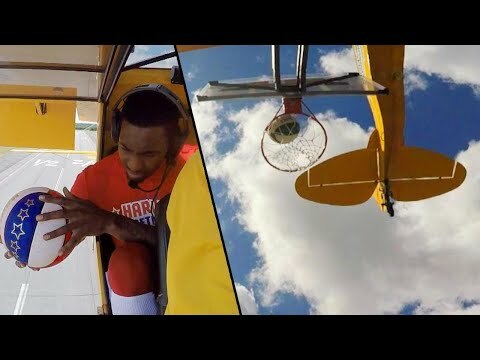 Check out this awesome trick shot by one of the Harlem Globetrotters, Bull Bullard. The basketball player was in Wildwood, New Jersey, with the team for a series of games. He made the shot from an airplane traveling about 70 miles per hour. It’s the first time in the Globetrotters’ 92-year history that a player has attempted such a feat. InsideEdition.com’s Leigh Scheps (http://twitter.com/LeighTVReporter) has more.